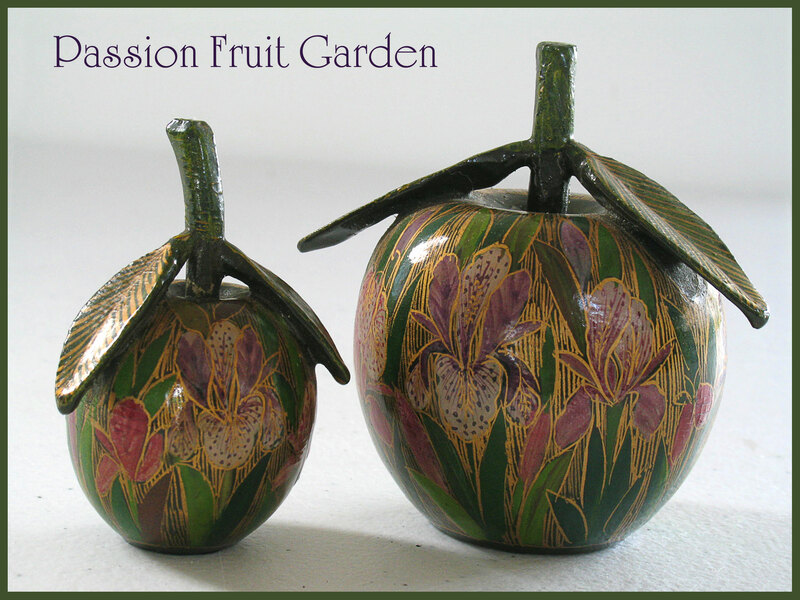 Are two Kashmiri papier mâché apples. We bought them in Sri Nagar in 1988 from Suffering Moses – yes, that was the name of the shop. They are hand painted. I can see why we bought them. I love the colours and the stained glass on our front windows is of irises. Because of this, we have bought quite a few iris-themed pieces over the years. It is a miracle they are in my kitchen, since I threw them out many years ago. We bought these two apples and a set of six coasters in the same design. The coasters were well used but the apples are just ornaments. Years and years ago, I decided we had enough ornaments and put these in a box for Maus to take to the Op Shop. Maus, true to form, clearly took them out of the Op Shop box, along with many other useless objects (I am sure), and secreted them in her shed. The other day I was looking for something in Maus’ “It might come in handy one day” cabinet and I came across them. I was delighted. Memories came flooding back. I had forgotten how beautiful they were. When I brought them back inside, Maus was gleeful. She readily gave them a dust and now they are ‘in my kitchen’. Is a dainty bowl of cherry tomatoes. It is a much more manageable quantity than I am used to. We had two cherry tomato plants this year and today I pulled out one – the one that I had trained and was determined would not go wild (but it did). The other plant started producing later and is still going strong. It is the one I let live because I thought it was going to be a Roma tomato plant. I had planted Roma tomato seeds just where it came up. We should have tomatoes for a few more weeks. Is the last cucumber of the season. Actually, there were two more on the vines but they weren’t quite ready and the plants were looking very sick so I decided to pull them up. We had one wet day over Easter and that did the cucumber plants in. They were covered in black soot. Is the last of the snake beans. The plants are scheduled to be pulled out tomorrow. They have been fantastic. We have had snake beans for months. 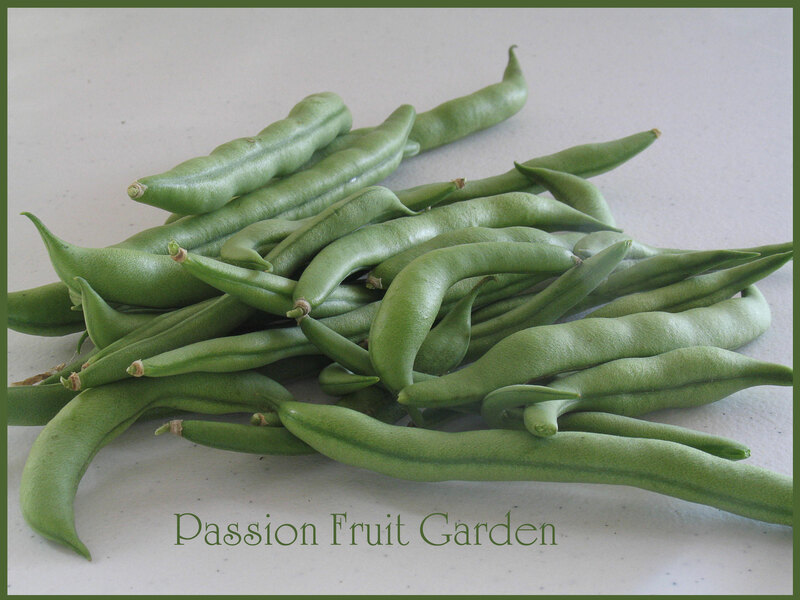 This year was the first year I had grown (and tasted, for that matter) snake beans and I was very impressed. I will be putting them in next year. Is the last of the runner beans. We have had runner beans galore and I didn’t even put any seeds in. They were just self-sown plants from last year’s crop. 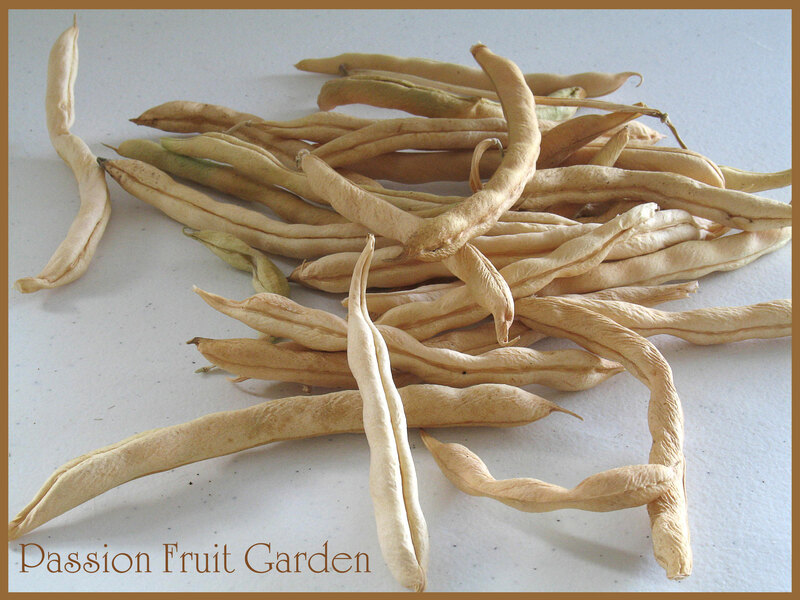 This year, I planted stringless dwarf beans (which finished ages ago) and snake beans so we have had quite a variety of beans this summer. These plants are coming up tomorrow, too. Is the last of the passionfruit. There are still more on the vines but I am not sure if they will ripen before it gets cold. We have gone from half a bucket a day to this many in a week. It so, so refreshing. I wish I could get this many a week for the whole year but it doesn’t work like that. As I have mentioned before, my passionfruit vines are from cuttings a reader gave me. As the plants are several years old and because my sister, Sandra, wanted a couple of vines, I made some more cuttings last spring. They are now ready to be potted up. I checked them out today and noticed one cutting has a fruit on it. Amazing. 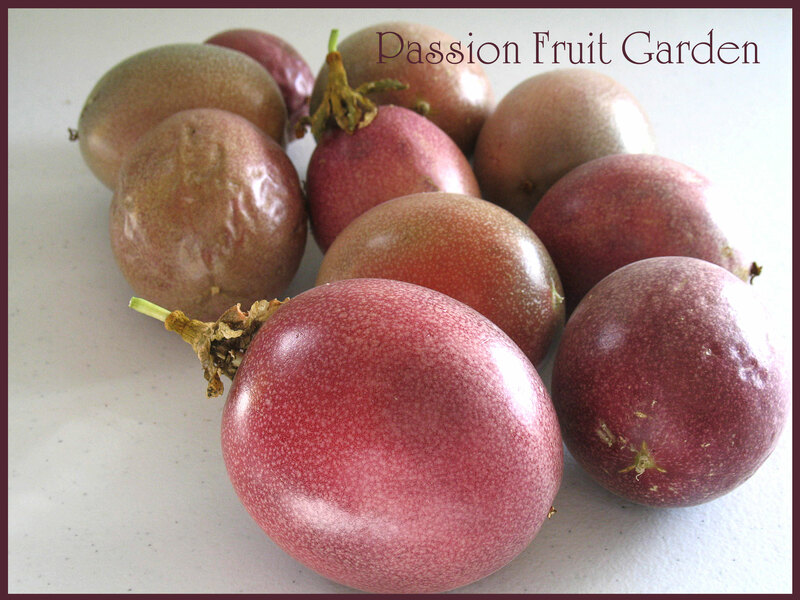 If you want to grow passionfruit, don’t buy a grafted one. 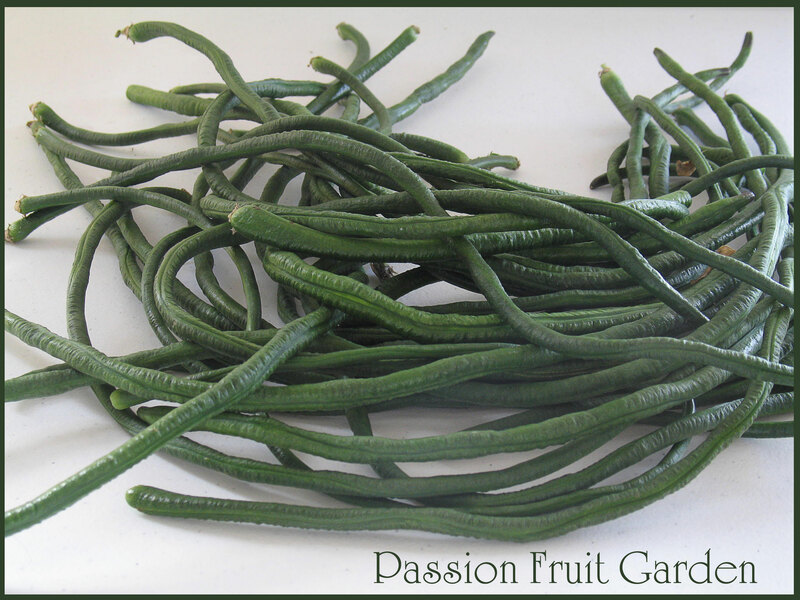 Take a cutting from a friend’s vine in spring and you, too, will have a nice, strong, prolific vine. Then, after a few more years, take a cutting from your own vine in anticipation of yours dying. Remember the passionfruit syrup and passion fruit jam we made for our Easter stall? We sold most of the syrup and a few jars of the jam and lots and lots of passionfruit. Next time, I won’t bother making jam and syrup. People preferred the fruit. I could have sold much, much more but it was late in the season and I only had a couple of buckets available. Is the first of the pumpkins. 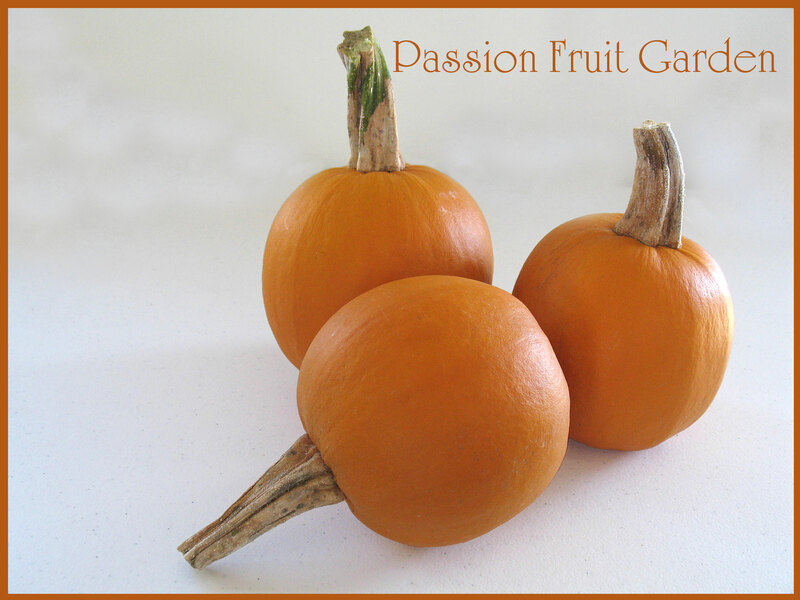 These are sugar pumpkins. It is the eating variety most seen in the States. I decided to buy some seeds after Diane (from Photographs and Recipes) mentioned that the only pumpkins they see in the States are orange. I haven’t tried one yet but I did add one to the dog food. The skin was so hard I couldn’t cut it. The only way I was able to get into the fruit was via a crack. I put the knife into the crack and wedged the pumpkin open. It was very hazardous. I then cleaned it out and just threw it in the dog food. When it was cooked, I scraped the flesh from the skin. It was impossible to do anything else with it. The skin is killer hard and the flesh is quite stringy. Not like we are used to at all. On the up side, they look lovely, each pumpkin is a manageable size and so is the plant. It didn’t run all over the place like our typical pumpkin plants. They would be perfect for a small vegie garden (if they taste all right). Is the first of the pomegranates. The tree is laden with them. I have no idea what I am going to do with this lot. Probably, no more than hand them out to neighbours and friends. I still have pomegranate molasses I made last year and we haven’t drunk all the grenadine I made several years ago. Is the last of the chestnuts. Our trees are quite small so we didn’t get many this year. I bet there will be more next year. Check out the very large one in the centre of the photo. That was from one tree and the rest were from the other. When I went down to collect this lot, all the burrs from one tree had a nut in them but the burrs under the other tree contained mostly shrivelled up nuts. One burr, though, encased this huge nut. Does anyone know why the nuts are sometimes shrivelled up? Is it lack of water? Is the most useless fruit I have ever come across. It is a cross between a cumquat and a finger lime. Our friends bought the tree because they thought is was a lime tree. When it produced these fruit, they didn’t want it so they asked me if I did. Of course, I said “yes” but I can’t think of anything to do with the fruit except, maybe, glacé them. The inside is dry and tasteless. It hasn’t got the juice vesicules of a finger lime or the sweet skin and juicy flesh of a cumquat. It is a pathetic cross. Oh, well, the tree is quite pretty. Is more citrus. This time a successful cross. They are fantastic. It’s a Rampur lime. They are very prolific and very, very juicy. They originate from Rampur in India. The juice is used to supplement mandarin juice (which is not very nice) in commercial ‘mandarin juice’. 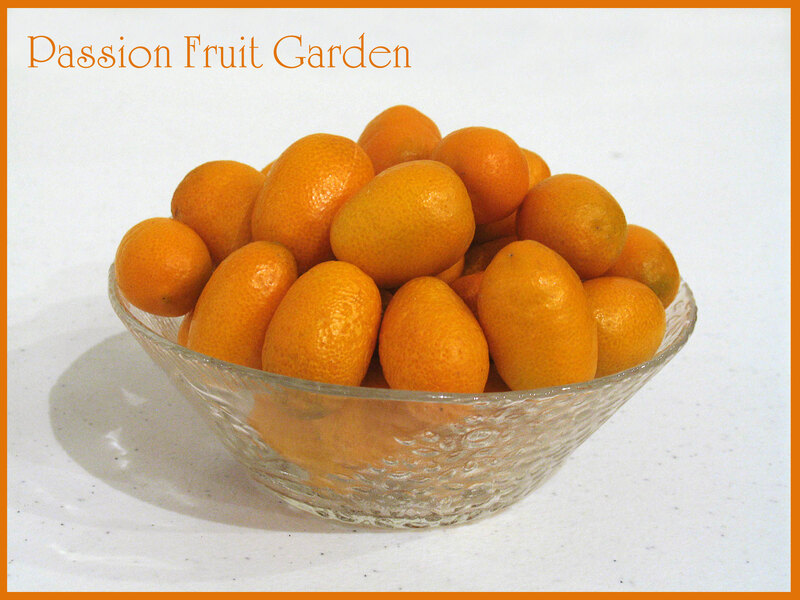 They are a cross between a lemon and a mandarin. You can eat them from when they are green all they way through to when they are a light orange. Are some dried beans waiting for me to retrieve the seeds for next year’s crop. Are some finger limes. They are the only items show-cased today that were not grown on our block. Maus’ brother, Trevor, grew these. I haven’t come across a great many uses for them but I did, accidently, come across one – Thai Green curry. The recipe I use includes kaffir (makrut) lime leaves. We have a tree in Perth but I forgot to pick some before we came to Bridgetown so I needed an alternative citrus shot. I had some finger limes in the freezer so I thought I would give them a go. I just sliced one and threw it in where I should have been throwing in the kaffir (makrut) lime leaves. It did the trick. I have been doing it ever since. 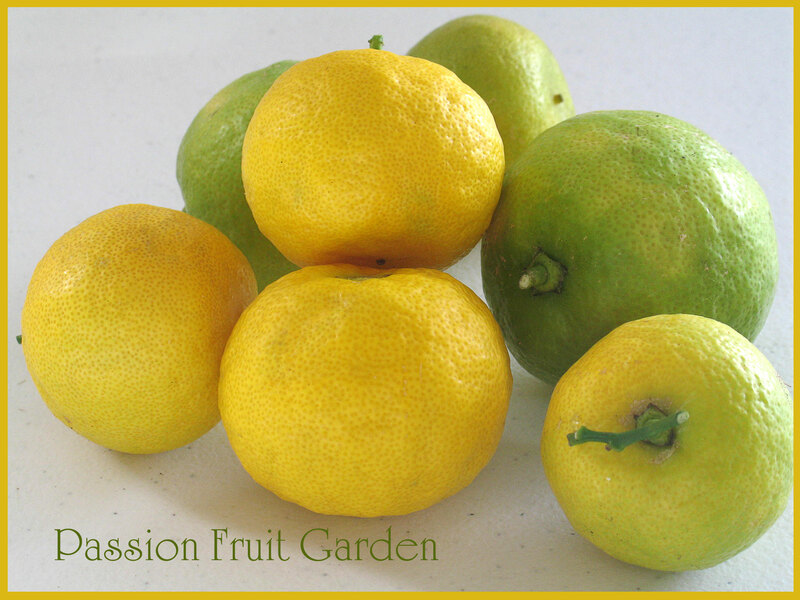 This entry was posted in In My Kitchen and tagged Chestnuts, Finger lime and cumquat cross, Finger limes, How to grow passionfruit, Kashmira papier mache, Rampur limes, Snake beans, Suffering Moses, Sugar pumpkins, Uses for finger limes by Glenda. Bookmark the permalink. Wow Glenda, you do seem to have a green thumb. I’d be so excited to have grown all that produce. We’ve only got a small area to grown vegetables in our garden in Perth and other than tomatoes this year was pretty poor. We didn’t even get any lemons or limes on our trees. I think that your orange fruit is a loquat. If it is the tree can grow 5 metres high. Smells great though. Hi Susan, No it’s not a loquat. I quite like loquats. 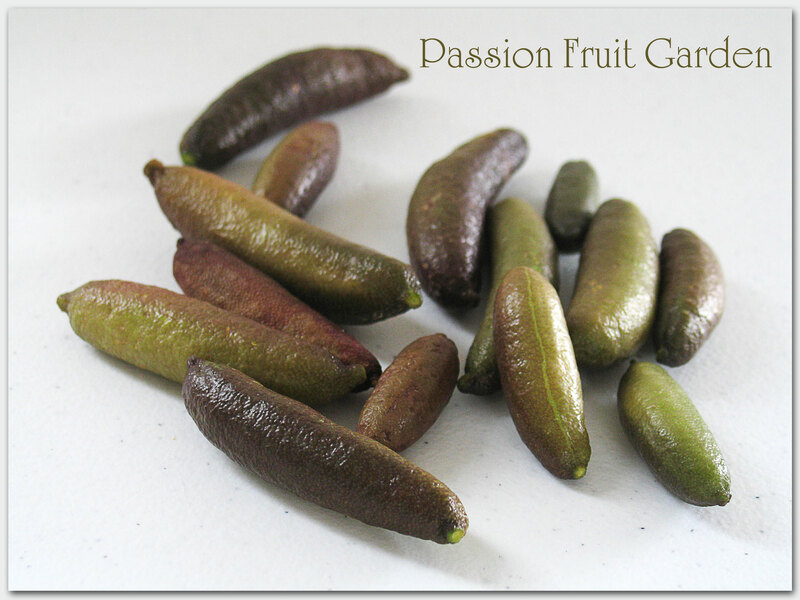 According to its label, it is a cross between a cumquat and a finger lime. I am so envious of all your garden bounty. Our season is coming soon though. Of course we had a very late frost and I’m afraid most of my tomato, cucumber and pepper plants didn’t make it. I’ll start more from seed so it may be a very late season for me, if they make it. Good luck Gretchen, We are lucky here in that we have a very long summer so it is ok to start late. I always find it interesting that while your season for gardening is winding down, ours is just starting. I had to smile about the tomatoes. 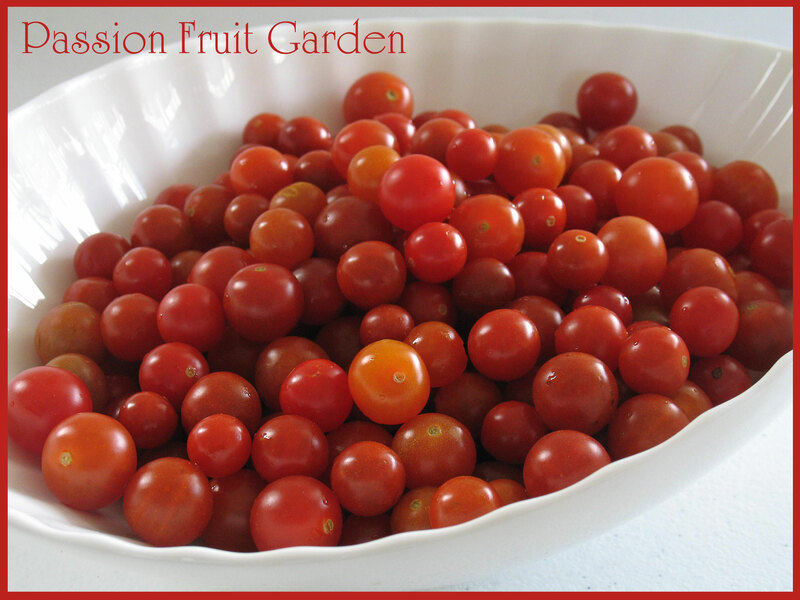 They always get out of control…especially the cherry tomatoes…bucketfuls is right. Hi Karen. Funnier still, is the fact that our winters are so mild we can grow crops all through it. The problem with that is, we stockpile our summer glut for the winter famine that never happens. That is funny. While I won’t be able to have a garden at our new home in Florida, there are lots of farms in our area that grow crops throughout a good part of the year. Hi Nicole. We have three Bichons, does that count? No, we don’t have any animals, like chickens, as we commute between Bridgetown and Perth so we wouldn’t be able to look after them. We have 7 acres in Bridgetown but it is mostly weeds and bull dust. It doesn’t take much space to grow quite a bit of produce. Spring and summer are the most labour intensive times in the garden. Now is a breeze. Hi Maree, Your problem with the passionfruit is normal. I wouldn’t bother with grafted vines. I thought the snake beans were nicer than the runner beans, they are not so tough. A bit like stringless beans but a bit nicer. Of the three I prefer the snake beans. I have a finger lime plant but it is doing nothing. I think I will have to give it some love. 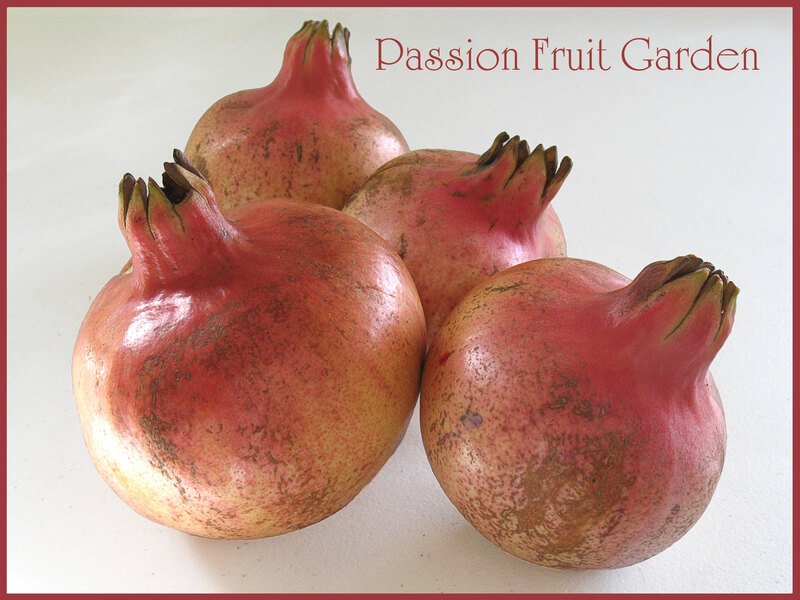 I think my passionfruit is a Panama red. Finger limes?! I have never heard of such a fruit before! 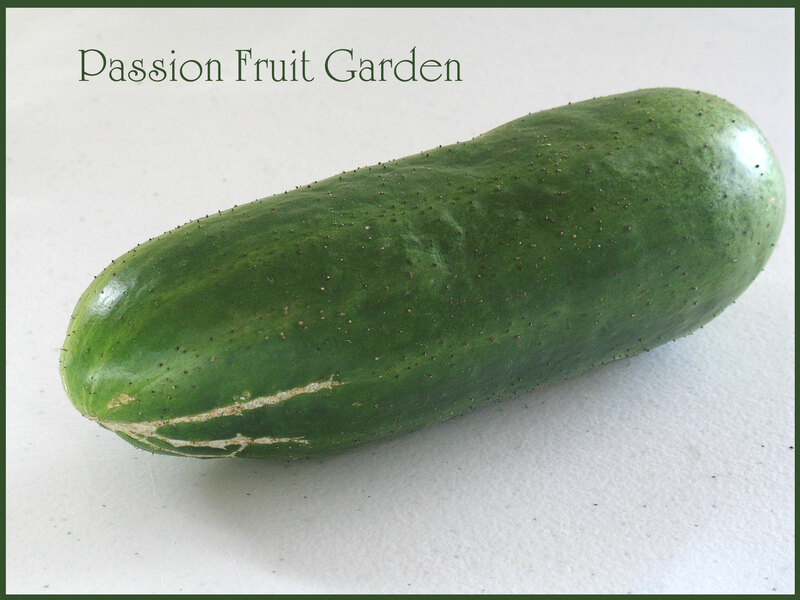 I love learning about exotic fruits and vegetables so I am glad I came across this post through Maureen’s blog (Orgasmic Chef). Cheers! Hi Kate, I think finger limes come from Queensland, but I could be wrong. 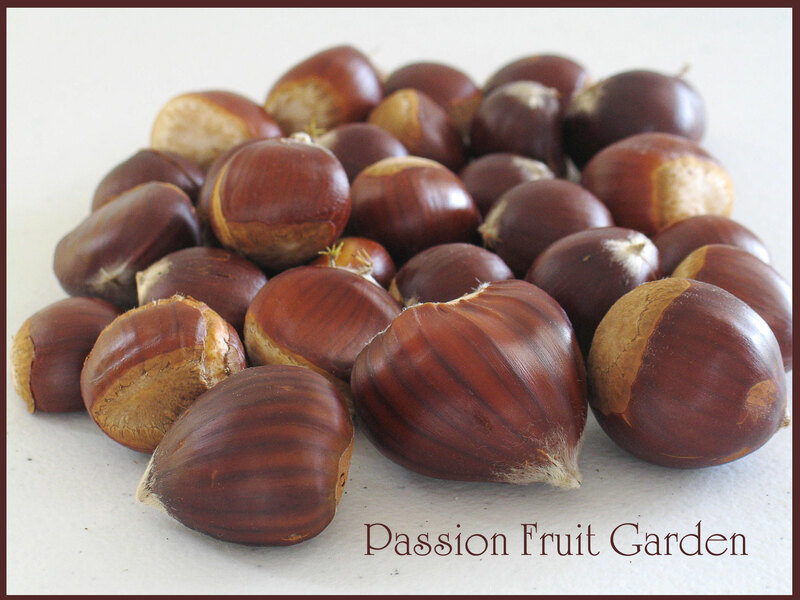 How annoying that you could have just sold bucket loads of passion fruit instead of spending all those hours in the kitchen. Oh well, you live and learn. Lots of fantastic looking produce Glenda. It’s so annoying reading blogs from other countries when people wonder what to do with their gluts of fruit! Pomegranates and passion fruit are so expensive over here that I’d willingly share your crop 🙂 At least I can get my own back in the raspberry season. You can keep the tomatoes though. Anne, your berry foraging more than compensates for a lack of passionfruit and pomegranates. Fiona, don’t they come from Queensland? What a bounty! And such variety Glenda. I’m envious of those finger limes. I might see if I can get one here. I did plant an artichoke the other day. It had quite a shock coming from a shade house to the garden as it’s still so warm here but it seems to have survived. Here’s hoping I have some luck. We buy a few things Sandra, particularly bananas and mangoes. I use them in smoothies. We also buy potatoes and carrots on a regular basis. We can grow most other things.